Breakfast with sea view. Wide beaches and many small bays. Are you looking for a new residence near the beach? Then you will definitely find your dream home in Mallorca. 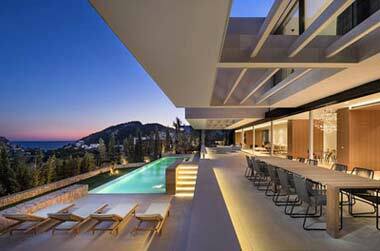 Also on Mallorca there are different types of real estates. From charming inland homes to magnificent coastal properties, the choice is often difficult. First, the situation plays a role. The infrastructure in Mallorca is relatively well developed. Within a few hours you can cross the entire island. The quieter area is nevertheless the northern side in the areas of Arta and Pollensa. Much tourism takes place in the eastern as well as the southern part of the island. There are accordingly many restaurants and attractions. In Palma, of course, you can feel the pulse of the island. There is nothing short of it: shops, bars, restaurants and everything your heart desires and miles of beaches right outside the door. In the old town there are some traditionally designed apartments, which have been upgraded with a touch of modernity and those became luxury real estate. Those who prefer to live outside the city can of course settle along the coast. The coasts with direct beach access are very popular, especially in the high priced locations. 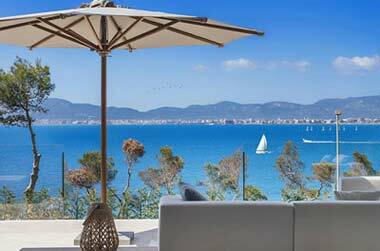 Luxurious villas with sun decks and pools, modern interior design and fantastic views of the sea. The island has many beautiful bays and beaches to offer. In the north you will find hidden coves between high rocks. In the south, however, the beaches are flat and offer kilometers of sand. Many beaches are already built with many hotels, beach bars and restaurants - but not all. One of the most beautiful beaches of the island is located on the Cala Santanyi. The Calo des Moro convinces with white sand and incredibly clear water. Still, the bay is an absolute insider tip, where you can find peace and relaxation. Surrounded by high cliffs, there is a beautiful backdrop. 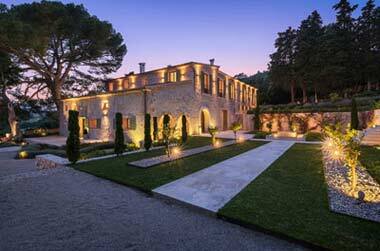 In and around Santanyi are beautiful villas but also Mallorcan houses that are for sale and invite you to stay. The Cala Sa Nau is an absolute dream bay on the east coast of Mallorca. The bay is located at the end of a small river surrounded by rock formations and a thriving flora. In combination with the play of colors of the sea is a very special sight. The nearest towns are only a few minutes away by car. The exclusivity of the beach attracts mainly locals. Tourism is still far away. In the vicinity there are also no hotel facilities. If you want to buy a property in a quiet, but wonderful landscape, this is the place for you. 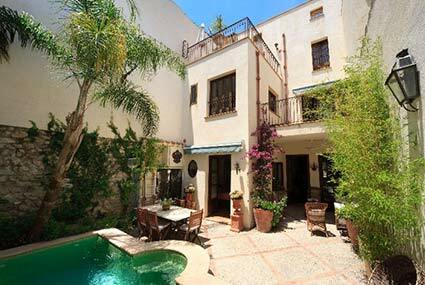 If all this is a bit too quiet, of course Palma is the right alternative. A city full of life with countless bars, restaurants and a beach right on your doorstep. 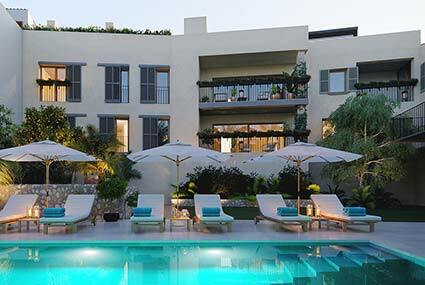 Fashionable city apartments convey the Mallorcan lifestyle of our time. The decor is high quality with small traditional details. But the beaches are not a place of tranquility in Palma. There are at any time locals, but also a lot of tourists on the beaches. If that is not desired, it is recommended to consider one of the quieter ones for a home purchase. Whether city apartment or beach villa - in modern facilities, the two variants are in no way inferior. Most of the houses on the coast have a pool and various sun terraces. It creates its own oasis, in which nothing is missing. Cooling walls, air conditioners and high-quality interiors characterize the real estate, to make it feel good in the very hot months. A slightly cheaper alternative is in the coastal towns, which are not directly on the sea. The beach is still within reach, but the budget can be a bit smaller. Do you already dream of a terrace with sea view? Then do not hesitate and find your dream home.